It's always time for prints, and so with this Floral design dial and silver tone bracelet strap, you are set. It comes in a beautiful printed box. 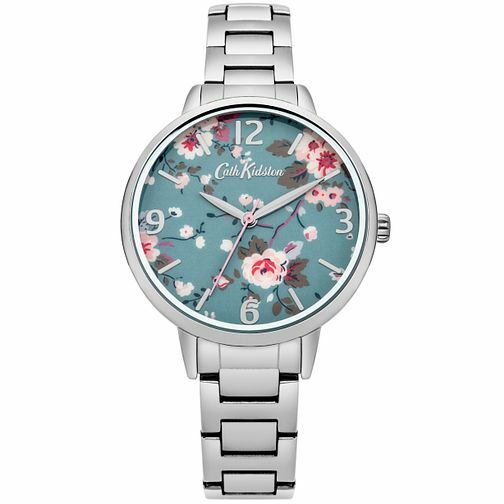 Cath Kidston Ladies' Alloy Bracelet Watch is rated 4.0 out of 5 by 1. Rated 4 out of 5 by Anonymous from Looks good Bought this as a Christmas present for someone who loves all things Cath Kidston. Looks just as good as th picture on the website. Hopefully they will like it!